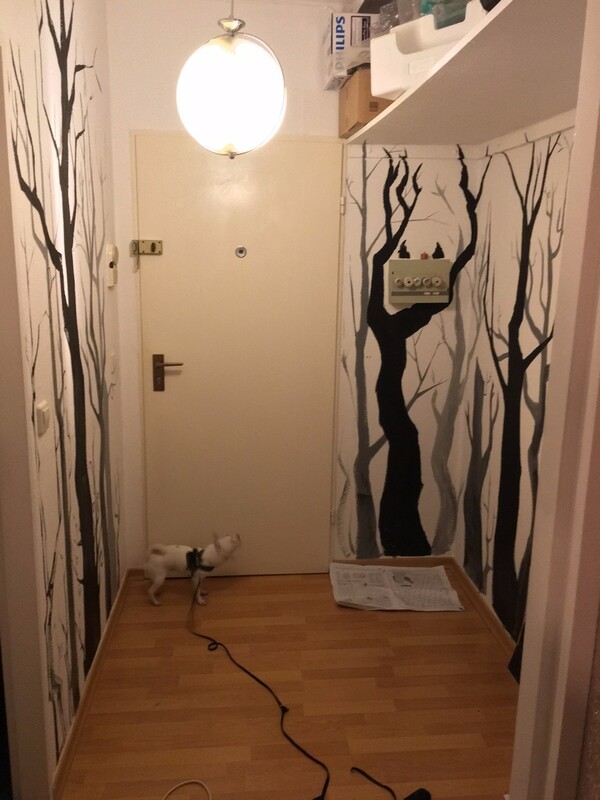 Yesterday I helped my friend Daria Rhein paint a mural in her entry hall. I met Daria because she took two of my classes, and I did my first Berlin art trade with her. 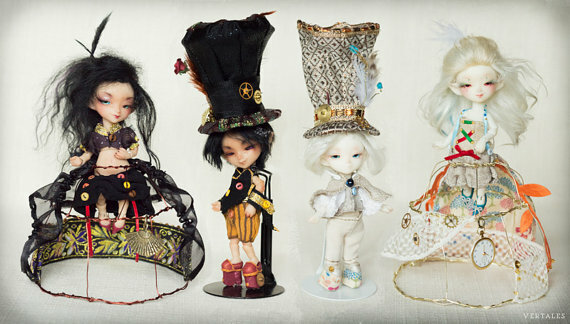 She works in games and makes incredibly beautiful ball-jointed dolls; I’m now the proud owner of one of these Vertales dolls. She is an extraordinarily talented draughtswoman whose figure drawing skills just blow my mind. 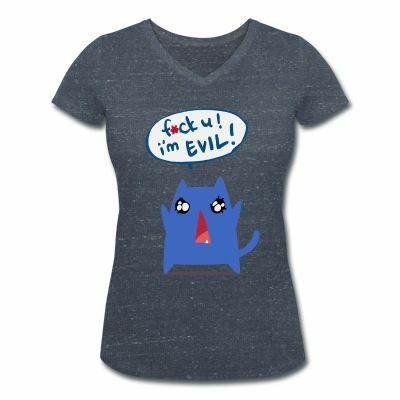 She has a cartoon style as well as a realistic one, and I begged her til she made this t-shirt she designed available last week. 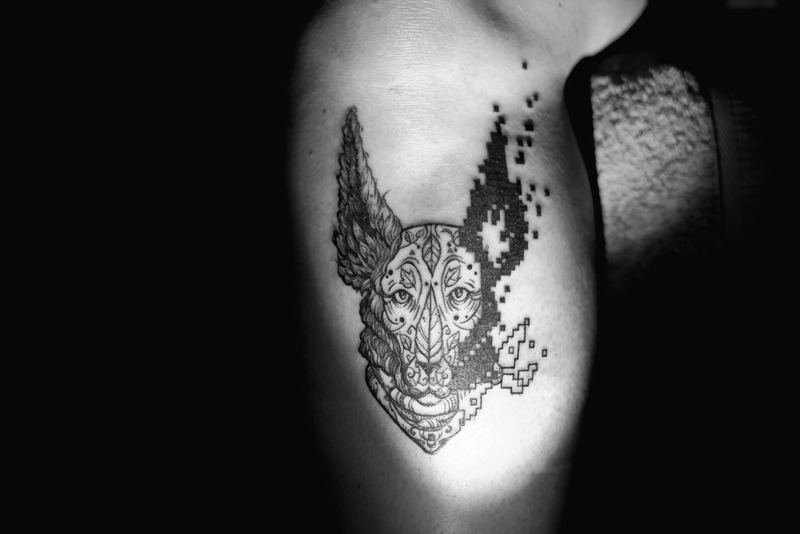 And she just bought a tattoo machine and learned to tattoo her exquisite designs, in her spare time this past month! Collaboration is so nurturing to me as an artist. I had wonderful collaborators and peers in the Bay, deeply committed, hardworking and wildly creative muses like KB and Miss Never, and fantastic artist friends I did costume parties and installation projects with. I often enjoyed drawing events and parties while my friends Audrey Penven and Neil Girling shot them, a kind of amazing parallax view. But my great peer as a draughtsperson, the superb artist Marc Taro Holmes, moved back to Montreal after I’d enjoyed just a year or two of drawing at parties with him. So it is simply thrilling to know working artists like my new friends Daria and Rafa Alvarez, another one of my students who can just draw like blue hot holy hell. Daria is a native Muscovite from a remarkable Moscow family of artists, designers, photographers and writers. She has talent just coming out of her ears! 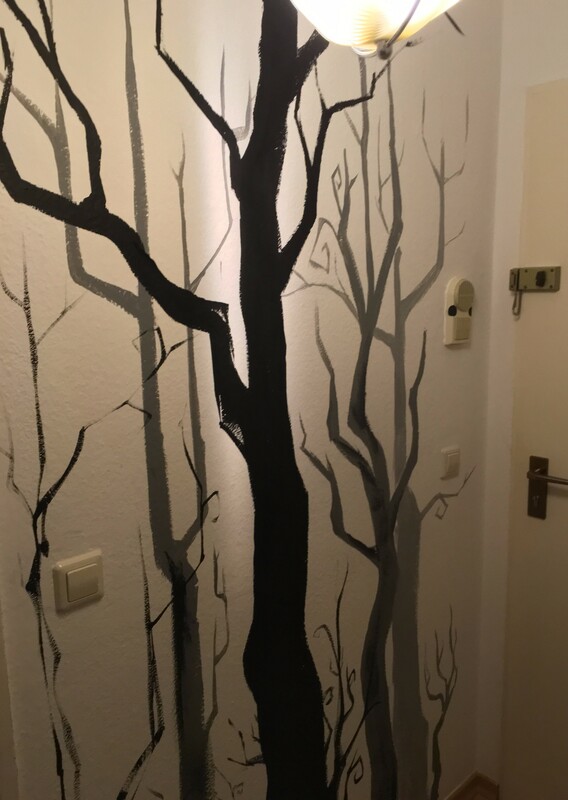 So I was thrilled that she suggested another trade, me helping her paint an eerie forest in the small foyer of her Neukolln penthouse apartment. We did it in just a couple hours, listening to The Kooks and Danny Elfman, without any kind of plan or preparatory drawing or cartoon on the walls. We switched places as we worked so our different styles would mix organically. One of the trees has tiny legs and is running away! Because she is as fearless as I am, as confident and powerful in her drawing skills, it was easy. It’s not done yet; Daria is going to put a background wash over it and paint her little scary-cute cartoon spirit animals on the branches. But it was a damn good start. I hope it will be the first of many international collaborations in this city of artists. This entry was posted in Berlin, My art and tagged ball jointed dolls, berlin art community, Burtonesque, creepy, Daria Rhein, dollmaking, eerie, interior decorating, spooky, Suzanne Forbes artist, Vertales, wall mural on March 20, 2016 by Suzanne Forbes.